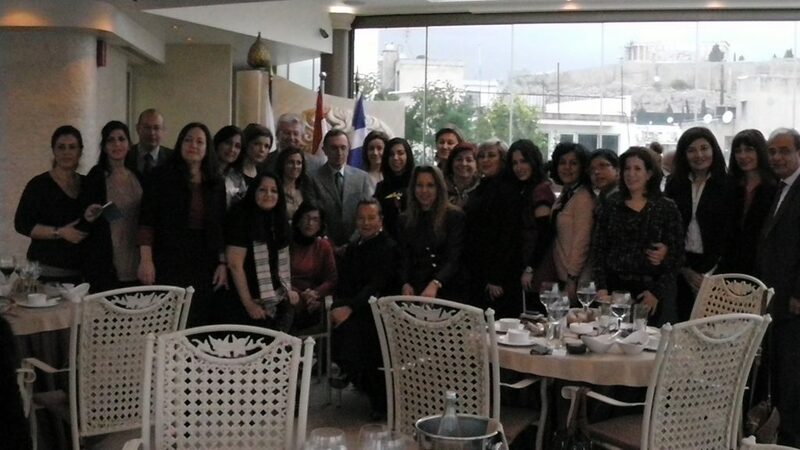 The Arab-Hellenic Chamber of Commerce & Development in its first activities for 2013 hosted a Lebanese Businesswomen Delegation consisting of 19 Ladies from the Chamber of Commerce, Industry & Agriculture, Tripoli & North Lebanon on 21-27/01/2013. 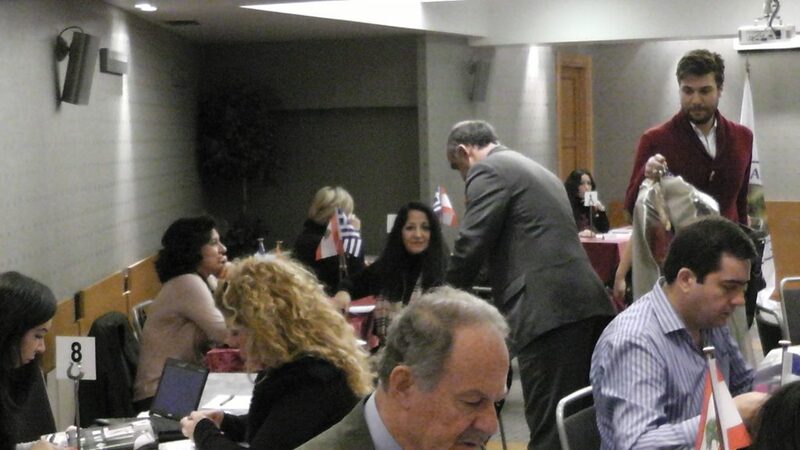 The activity of the said delegation is the import of women clothing, accessories and jewlery. 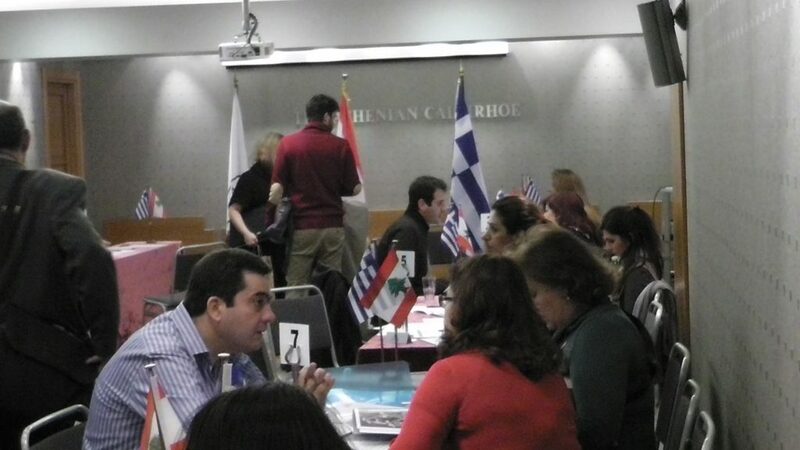 Within the frame of this business activity, 65 B2B meetings were realized between the delegates and their Greek counterparts 24/01/2013 at the Callirohe Hotel. 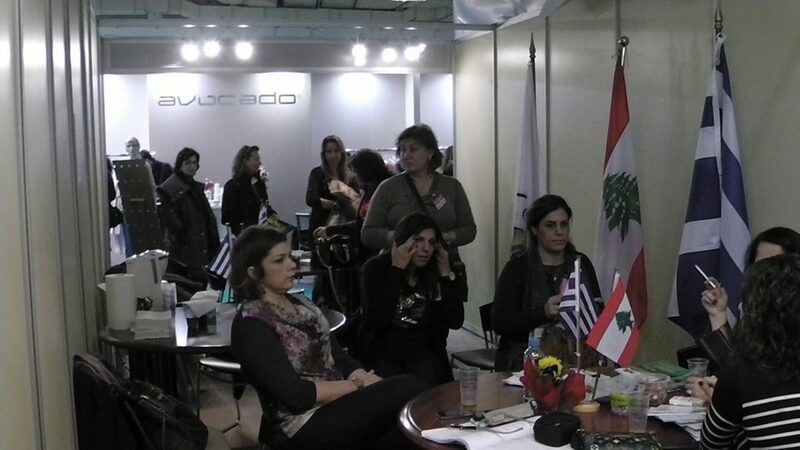 In parallel, the Arab-Hellenic Chamber participated in FEMINA Exhibition with a booth on 25-28/01/2013 which hosted the Lebanese Businesswomen delegation as well for two days on 25th & 26 of January 2013. The B2B ,meetings on the 24th of January 2013 as well as the meetings during the two days at FEMINA Exhibition were very successful. 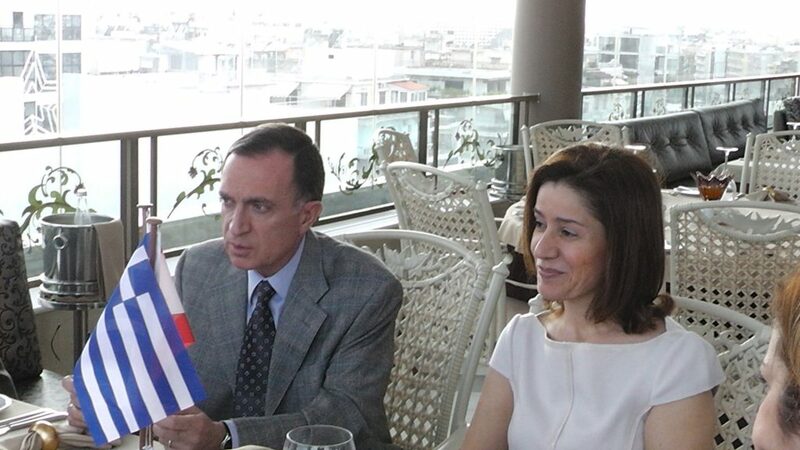 Mrs. Lina Soufan, the Ambassador of Lebanon H.E. 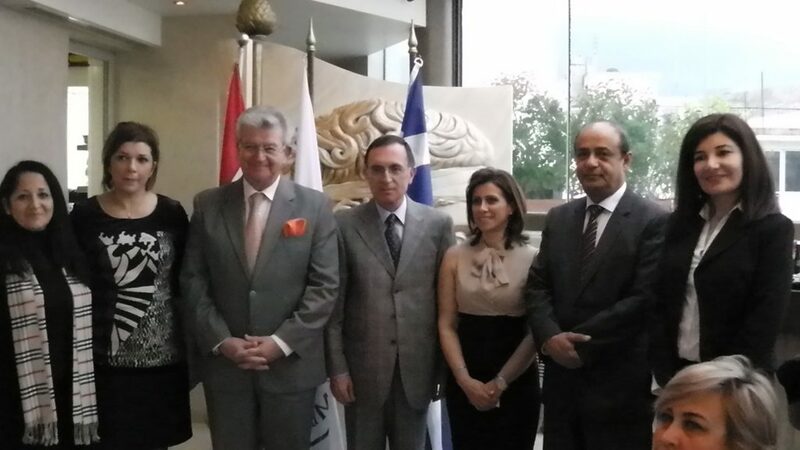 Mr. Gebran Soufan, the Manager Greece of MEA Mr. Ghassan Sheety, Mrs. Kawssar Dernaika Zreik Public Relations Dept. of Tripoli Chamber of Commerce, Industry & Agriculture, Mrs. Rime Kabbara Jarkass Media & Communication Dept. 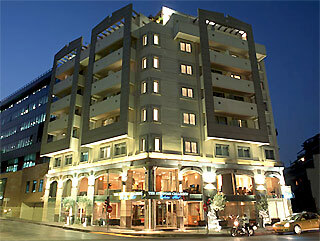 of Tripoli Chamber of Commerce, Industry & Agriculture. The Delegation with the Ambassador of Lebanon H.E. Mr. Gebran Soufan, the President of AHCCD Mr. Christos Folias, the Secretary General of AHCCD Mr. Rashad Mabger and Chamber’s staff. The 1st Secretary of the Embassy of Lebanon Mrs. Rania Abdallah, the Secretary General of AHCCD Mr. Rashad Mabger, Mrs. Kawssar Dernaika Zreik from Public Relations Dept. of Tripoli Chamber, the Ambassador of Lebanon H.E. 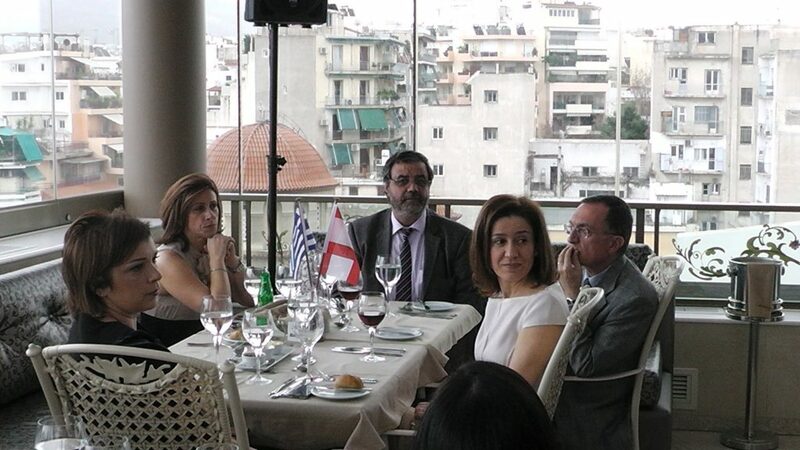 Mr. Gebran Soufan, the President of AHCCD Mr. Christos Folias, Mrs. Rime Kabbara Jarkass from Media & Communication Dept. of Tripoli Chamber of Commerce, Industry & Agriculture, Mrs. Maria Vestarki Head of Public Relations Section.